I LOVE Hellsing. Alucard is the man. He's just soooo.... cool. ~lol~ I love the red and black. Very suiting for the series and can you get any more evil? If so, please do! 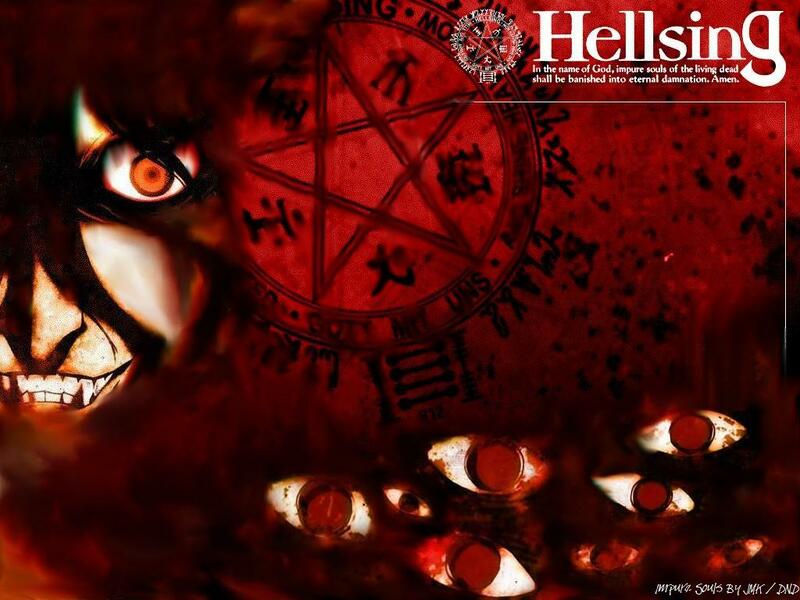 I never seen Hellsing but I like this wallpaper.The crazy eyes are cool. very cool background... i like the fading of the face and the eyes very nice!